Observation - Bombus lucorum - UK and Ireland. Description: Ok is this white tailed bumblebee Bombus lucorum, is the ovipositor clearly seen? 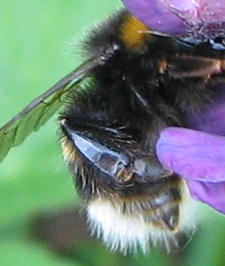 Bombus lucorum, is the ovipositor clearly seen?